• Easy flight access from U.S.  When the Gods finished making the rest of the world they made Costa Rica. So goes local legend and geologically speaking, it’s true. Mother Earth heaved Costa Rica from the ocean floor... it was her last act birthing the continents. 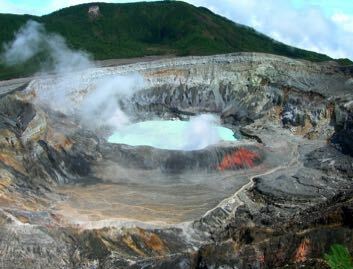 Geologists believe Costa Rica was created most recently on the geologic clock. And as a visitor, you’ll quickly encounter spectacular proof of the Gods’ most beautiful achievements. From her fertile, lush, green covered mountains to the warm, placid swells of the Pacific Ocean, Costa Rica embraces U.S. visitors after a short 21/2 hour flight. So what’s the attraction? Three major factors lure Americans to Costa Rica: Her people, her places to see and the things to do. So forget Puerto Rico. Costa Rica is more fun, nearly as close, and offers so much more. Read more to get all the Costa Rica facts you need to know. Costa Ricans (Ticos and Ticas) love Americans. They are warm, gentle, helpful people who are tremendously proud of their country. A democracy, Costa Rica’s literacy rate is above 90%. The middle class aspire to many of the same goals of the American Dream: A family, their own home and a comfortable lifestyle. Characterized by a strong work ethic, Ticos work hard and enjoy a lifestyle structured around family and strong ties to the Catholic Church. The working class often live poorer than U.S. standards, but they don’t live in misery. Even the smallest homes shine with resident pride. Costa Ricans may not own much, but their clean and neat surroundings are proud substitutes for their scarcity of means. And they’ll invite you into their homes, offering to share anything they have. Ask a Tico or Tica about their country, and they’ll explain with a giant, pride-brimming smile plastered across their faces. Many speak a little English, and will appreciate if you try a little Spanish, too. Costa Rica is situated between Nicaragua and Panama on the Central American isthmus, flanked by the Pacific Ocean and Caribbean Sea with a distance of 155 miles between coasts. Costa Rica is about the size of West Virginia, yet it contains 6% of the world’s biodiversity. Costa Rica is well known for the premium that it places on peace, education and democracy, and is often referred to as “the Switzerland of Central America”. In 1949, the government abolished the army, allocating all military expenses to education and health care. 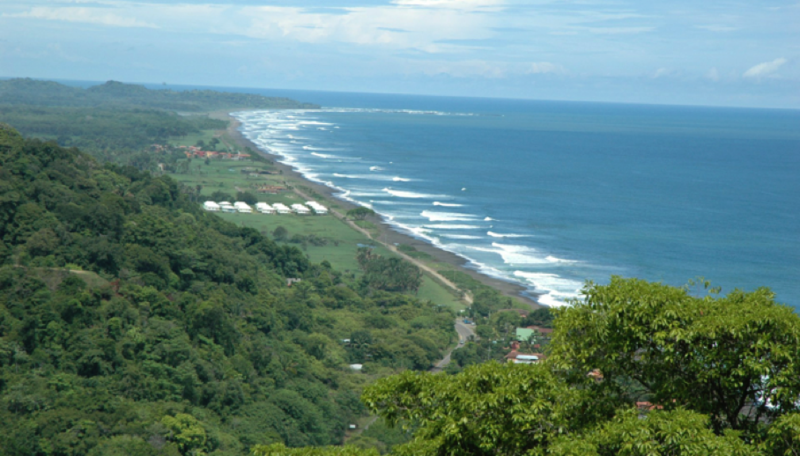 Spectacular natural beauty and peaceful atmosphere attract over one million visitors to Costa Rica annually. Nine active volcanoes, diverse forest environments, hot springs, wetlands, lakes, island reserves and 600 miles of beaches on two coasts account for the dramatic increase in tourism over the last decade. The odds of seeing wildlife are greater in Costa Rica than anywhere else in the world. The country is home to 1,240 species of butterflies, 845 species of birds, 250 mammal classifications, 160 amphibian categories, 218 types of reptiles and 1,013 varieties of fresh and salt water fish, including several endemic species found nowhere else on the planet. Costa Rica is also the world leader in terms of protected areas, with 27% of its land mass designated as national parks or reserves. There are seven regions of the country to explore. The most popular is the Central Pacific Coast, about an hour drive from the capital and international airport. It includes the luxurious Los Suenos resort and the surfer town of Jaco. An hour south of the resort sits Manuel Antonio Park, the gem of the national parks system. 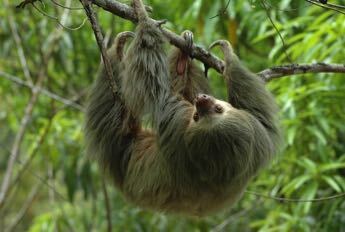 Wildlife sightings are abundant, particularly for white-faced (capuchin) monkeys, coati and sloths. The Point Cathedral trail offers a relatively easy, 45 minute hike through the rainforest, ending at Playa Blanca, a beautiful white sand beach with calm waters, perfect for an afternoon of sunning and swimming. Carara National Park is a transitional forest, which allows excellent wildlife viewing opportunities, as species from both the dry and humid forest environments populate the area. It is also home to one of the largest populations of scarlet macaws in the country, best viewed in the early morning and late afternoon hours. A number of private tour operators offer the chance to experience the rainforest canopy up close. A rainforest tram located in the mountains behind Jaco carries you through the treetops in an open cable car. The more adventurous at heart will definitely experience the thrill of a lifetime on any of the three “zip-line tours” offered in the Jaco-Herradura area. The brainchild of a Costa Rican-based research biologist looking for a way to get close to his subjects, the zip line allows you to rappel along steel cables from platform to platform as you make your way through the rainforest. Those who prefer the view from the ground can explore back roads and trail systems, traverse rivers and visit incredible overlooks that are otherwise inaccessible…all on horseback or all-terrain vehicle. The Arenal Volcano puffs steam and lava in the north central highlands. Its hot springs spas are often a day-trip destination for Los Suenos’ guests. Clouds cover the volcano most of the green season (April-November), but you can hear and feel her rumble even when she’s cloaked behind her curtain of clouds. The resort features world-class golf, tennis and spa amenities. Surrounding the Los Suenos resort are some of Costa Rica’s most engaging adventures: crocodile safaris, ATV tours, white water rafting, horseback riding, kayaking, snorkeling and surfing. Offshore- Trolling for billfish including big Pacific Sailfish, Blue, Black and Striped Marlin plus tuna and dolphin. Nearshore- Drift-fishing inside the drop off for bottomfish such as Snapper, Grouper and small tuna. Also the rock structures hold large schools of Wahoo. Inshore- Along the rock cliffs and shoreline for Roosterfish, and river mouths for Snook. Fishing is good year round, although the dry season (December-March) is known for larger numbers of sailfish plus hot, dry, flat calm days on the ocean. Costa Rica offers the perfect combination of tropical beauty, wildlife, luxury or Spartan accommodations along with some of the best conservation-minded fishing in the world. Pura Vida!